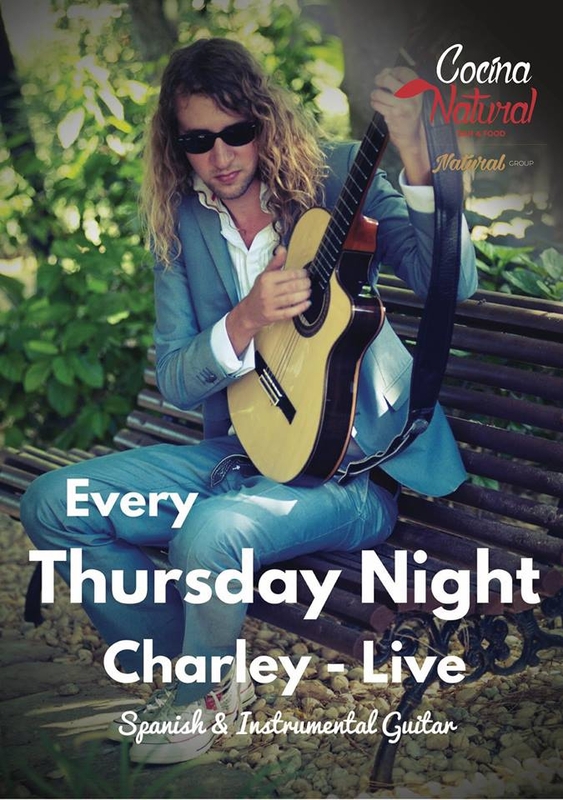 There's live music every Thursday and Friday night at Cocina Natural in Vale do Lobo. Enjoy a relaxed atmosphere, great food and drinks, and the sound of Spanish and instrumental guitarist Charley on Thursday and chill out to some great sounds from Duo Glam on Fridays. Click the BOOK NOW button above to reserve your table now!